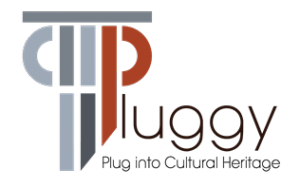 PLUGGY is organizing the Workshop “Plug into Cultural Heritage” as part of the 9th International Conference on Intelligent Technologies for Interactive Entertainment – INTETAIN 2017 that will be held in June 20–22, 2017 in Funchal, Madeira, Portugal. What is cultural heritage? How can society become more actively involved in cultural heritage activities, not only as an observer but also as a contributor to the definition of heritage? Cultural heritage is considered an important precondition for genuine sustainability. However, existing applications for heritage dissemination do not really create heritage communities. Adequate ICT tools are necessary to support citizens in their everyday activities in shaping cultural heritage and be shaped by it. Social platforms offer potential to build such networks, but can be further exploited for heritage promotion. Technology could help better in providing a seamless integration of cultural heritage in people’s everyday life. The Workshop “Plug into Cultural Heritage” aims to bridge this gap by exploring on necessary tools and challenges to allow citizens to share and obtain local heritage knowledge. The role of current social media in cultural heritage awareness. For more information regarding the publications and the submissions, kindly download the official invitation, clicking here. The 9th International Conference on Intelligent Technologies for Interactive Entertainment (INTETAIN 2017) celebrates the future of Interactive Entertainment by inviting researchers to submit contributions around developments and insights in art, design, science, and engineering regarding novel entertainment-focused devices, paradigms, reconceptualisations, and reconfigurations of entertainment experiences.